Legal scholars today rightly criticize the lack of public participation in local policing as a barrier to true police accountability. When searching for solutions, however, scholars are often preoccupied with studying and perfecting consensus-based methods of participation such as community policing, neglecting the study of more adversarial, confrontational forms of local participation in policing. This article challenges the scholarly focus on consensus-based strategies of police accountability through an exploration of the phenomenon of organized copwatching –groups of local residents who wear uniforms, carry visible recording devices, patrol neighborhoods, and film police-citizen interactions in an effort to hold police departments accountable to the populations they police. 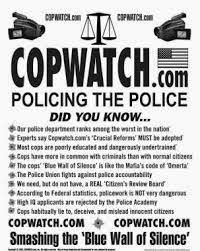 This article argues that the practice of copwatching illustrates both the promise of adversarialism as a form of civic engagement and the potential of traditionally powerless populations to contribute to constitutional norms governing police conduct. Organized copwatching serves a unique function in the world of police accountability by giving these populations a vehicle through which to have direct, real-time input into policing decisions that affect their neighborhoods. This article urges scholars and reformers to take adversarial, bottom-up mechanisms of police accountability seriously – not just as protest, but as true participation. Doing so requires respecting observation and contestation as legitimate civic gestures worthy of protection.